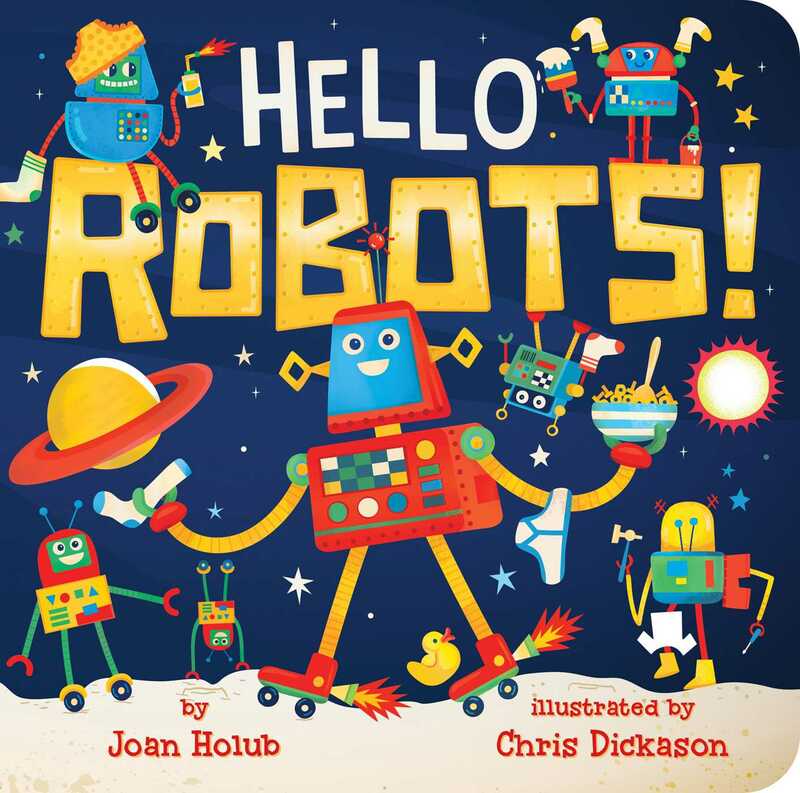 New from beloved author Joan Holub, Hello Robots! is a fun, playful board book about robots and sequencing! Wake up! Get dressed, robots! Perfect for reading out loud, Joan Holub’s hilarious text and Chris Dickason’s lively illustrations will have little ones learning and laughing as they try to help sleepy robots complete their morning routine in the correct order. A clever, interactive approach to first concepts, the Hello board book series introduces important “next-step” concepts like sequencing in a hilariously engaging way. Book Cover Image (jpg): Hello Robots!